Got a cramp in your leg? Pulled a muscle during your workout today? Or did your leg get overstretched while you were rushing to work in the morning? But what do you do when you feel the pain? Sit and wait for it to go away? Or take an over-the-counter pain killer to get rid of your sore muscles? You know how harmful those pain killers can be, right? Pain killers or nonsteroidal anti-inflammatory drugs (NSAIDs), such as aspirin and ibuprofen, are known to cause gastric bleeding. They alone are the cause of 12,000 hospital admissions and 2,500 deaths each year in the United Kingdom, according to experts at Oxford University. Instead of taking those harmful medicines or just waiting for the pain to vanish away, here are five ways to get rid of sore muscles in a day. 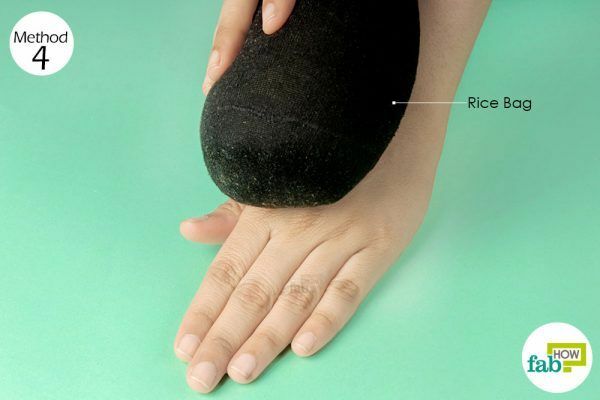 The RICE method is often regarded as the best way to relieve sore muscles and treat soft-tissue injuries. 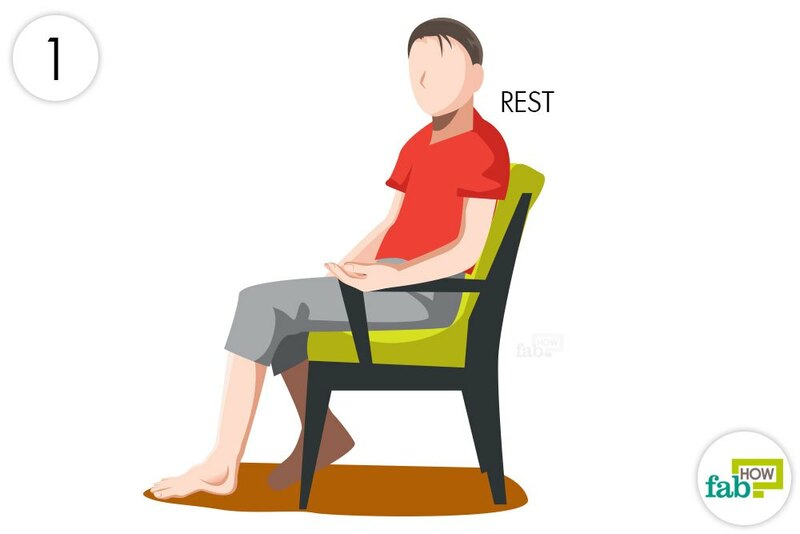 (2) (3) An acronym for rest, ice, compression and elevation, this method is commonly used in first aid and has been in practice for almost four decades now. Resting is the main element of healing, so it’s important to rest your muscles immediately after an injury occurs. If you continue to stress it any further, it may result in even more severe muscle pain and tissue injury. Sit down, or better yet lie down, after a muscle injury. Give it a minute or two. Once your body is calm, proceed to the next step. Ice in the RICE method refers to applying ice on the sore muscle. Sore tissues generate too much heat, so the muscle needs to be cooled down. Wrap ice in a cloth and apply it to the affected area for 15 to 20 minutes. 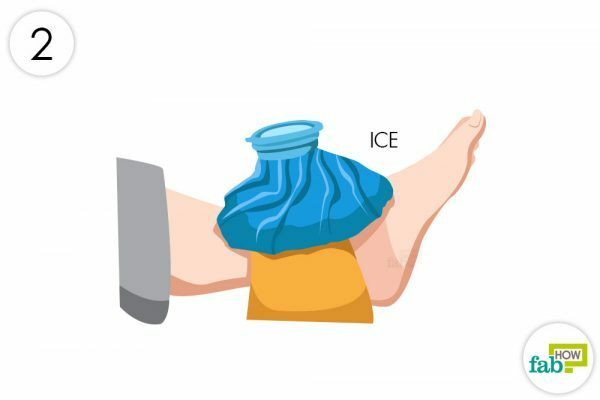 Ice the affected area at least 3 times a day. Note: Do not apply ice directly on your skin, as it may damage the skin or even result in frostbite. After the icing is done, the next step is compression. 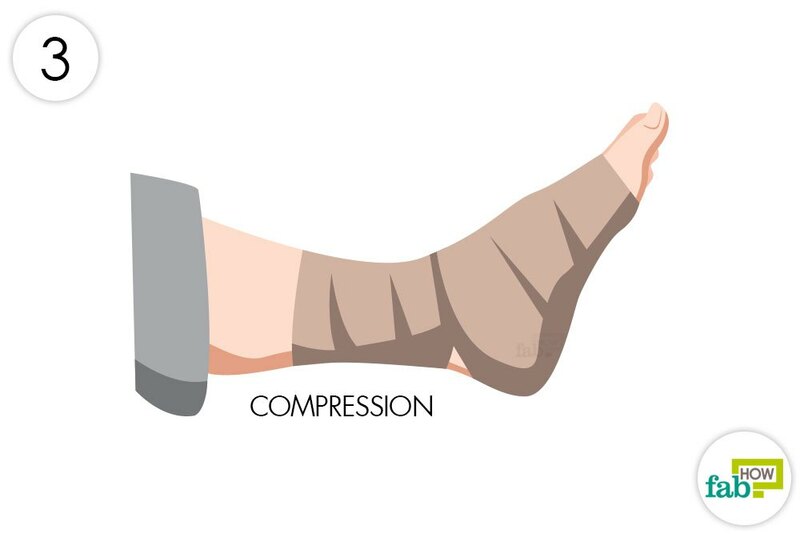 Compression slows down the excess blood circulation due to tissue injury and reduces swelling in the area. Use an elastic bandage to compress the affected area for 20 to 30 minutes. Be sure that you do not compress it so tightly that it would cause the blood to not flow at all. The final step involves elevating the affected area above the level of your heart to help reduce the swelling. If you’ve got a sore leg muscle, put a pillow (or two) under your feet when you’re lying down. For a sore arm muscle, rest it on pillows or any surface that will keep it above the heart level. 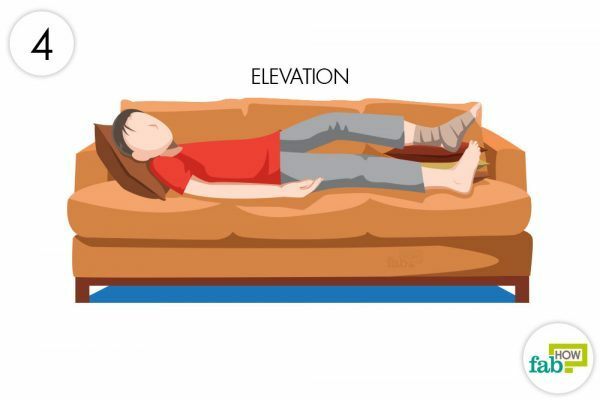 Even if you’re not lying down, try to lift the injured area above the heart level whenever you get a chance. An Epsom salt (magnesium sulfate) soak is another tried-and-true home remedy for sore muscles. (4) The magnesium in it helps relieve sore muscles. This may be the reason why Epsom salt baths are highly recommended by massage therapists and workout trainers and are very often used for after-exercise bath purpose. Fill a large tub or your bathtub with warm water and mix in 1 to 2 cups of Epsom salt. 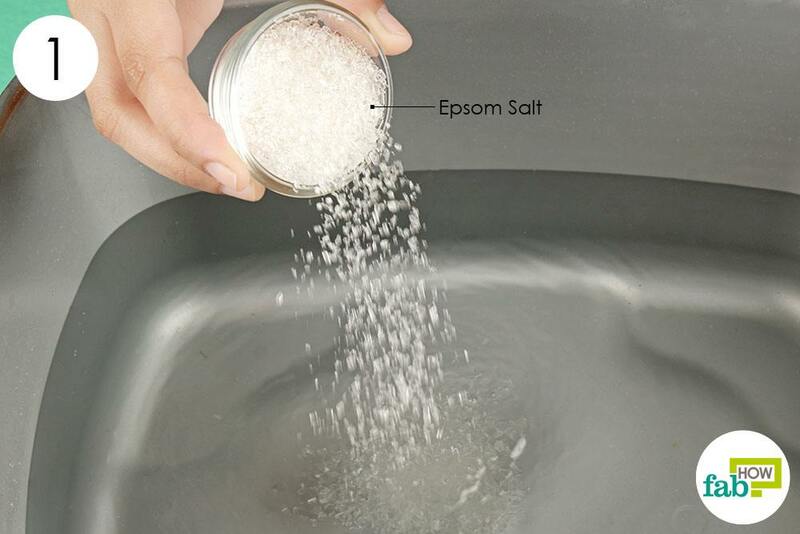 Soak the sore area in the Epsom salt water for 15 minutes, or until the water becomes cold. The salt in the warm water bath also gives you a good feeling and relieves tension and stress. Apple cider vinegar is another effective natural home remedy for pain relief. It acts as an anti-inflammatory agent for the muscles relieving you of the pain. It is also rich in potassium, which helps keep the body’s tissues soft and maintains muscle flexibility. 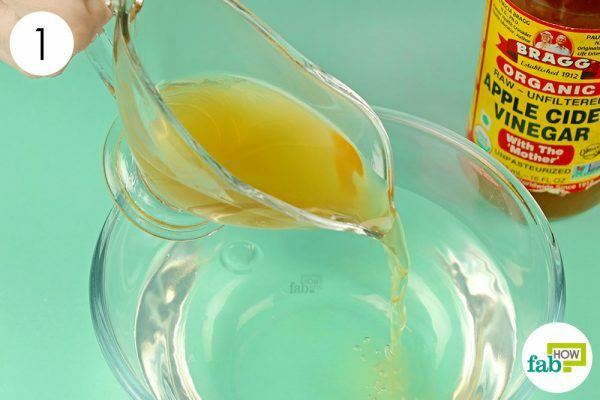 Add 3 tablespoons of apple cider vinegar to the bowl of warm water. Make sure the water is comfortably warm and not so hot that it may burn your skin. Soak the affected area in the solution for 10 minutes or until the water becomes cold. If your sore muscle is in your leg or another body part that cannot fit in a bowl, soak a clean cloth in the solution and wrap it around the affected area. Leave it on for 15 minutes. Repeat every 3 to 4 hours. Heat can help loosen up tight muscles and relax injured areas. (6) It also increases the blood flow to the area and quickly relieves the pain. Furthermore, heat acts as a psychological agent that makes the brain feel like it is relieving pain, which further helps with healing. Unlike an ice compress, a hot compress can be used for a longer time because it does not pose a risk of frostbite or otherwise damaging the skin, provided it is not too hot. Apply a heating pad on the affected area for 15 to 20 minutes. Do this 3 or 4 times a day, or even more if you feel like the pain is causing too much trouble. If you don’t have a heating pad, fold your socks into a ball and heat it with the help of a blow dryer. Apply on the affected area as a hot compress. Essential oils are a wonderful way to relieve pain. 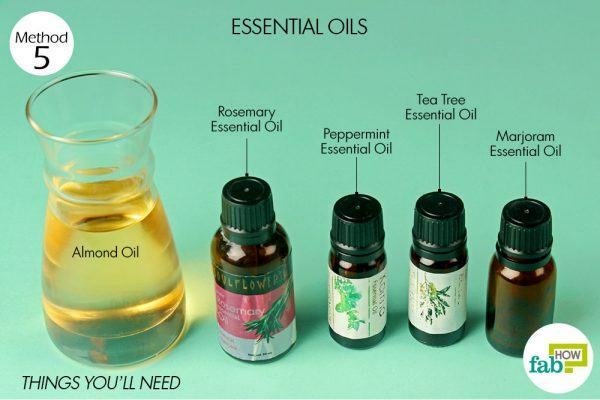 The sweet, soothing smell of these oils also acts as an antidepressant that helps improve your mood. 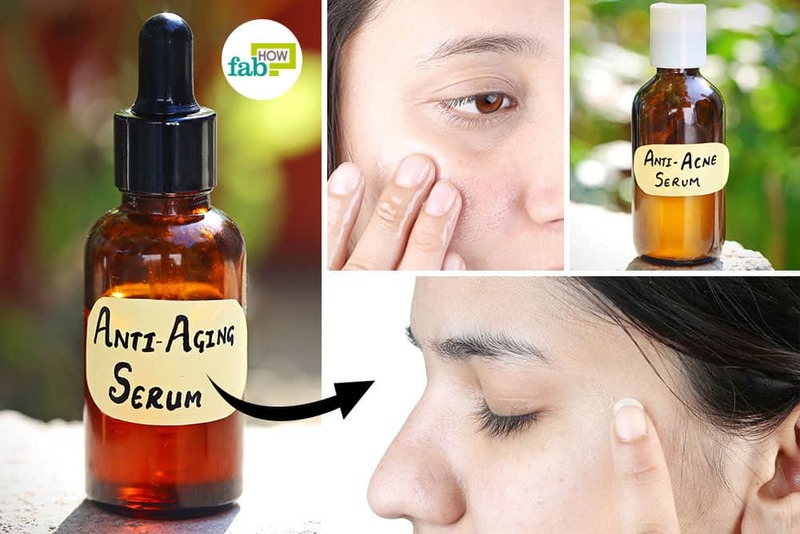 Since this method involves application on the skin, you’ll need to add the essential oils to carrier oil. We’ve used almond oil, but you can use others like olive, sesame or coconut oil. The choice is entirely yours. 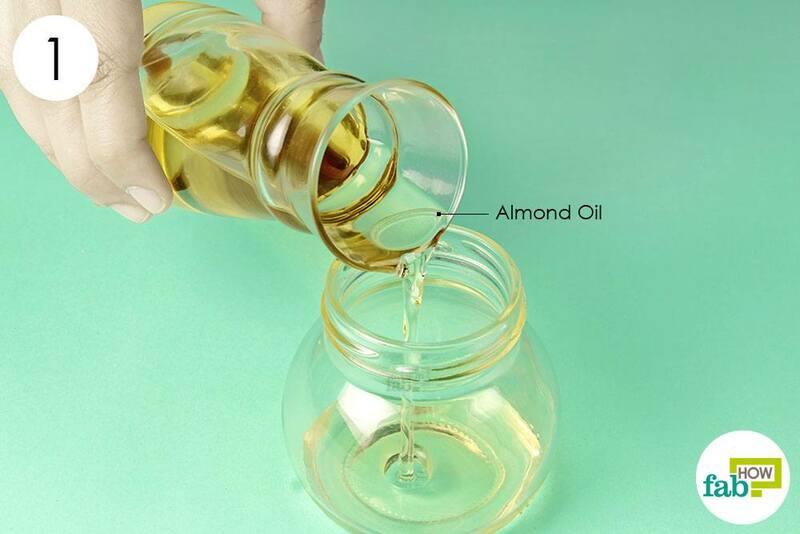 Pour 1 cup of almond oil into an airtight container. Warm the carrier oil a little to help the essential oils blend in easily and further help with pain relief. Add 10 drops of peppermint essential oil, 6 drops of rosemary essential oil, and 5 drops each of tea tree and marjoram essential oils to the almond oil. Stir it to blend all the oils. 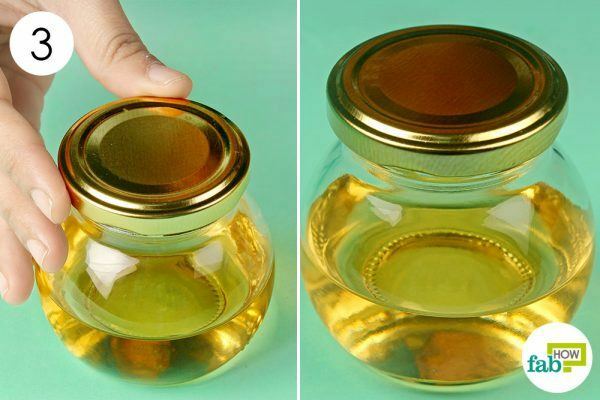 Store the oil blend in an airtight container in a dark place. Give the container a little whirl each time before you use it. Slowly massage your essential oil solution over the affected area using circular motions. Alternatively, you can wet a warm cloth with the oil blend and use it as a dressing on your sore muscles. Do not apply a hot compress to a fresh injury. The injury is already hot, and applying more heat to the area will not help. Use a cold compress or ice pack first and, when the muscles are calmed down, you can use hot compresses. 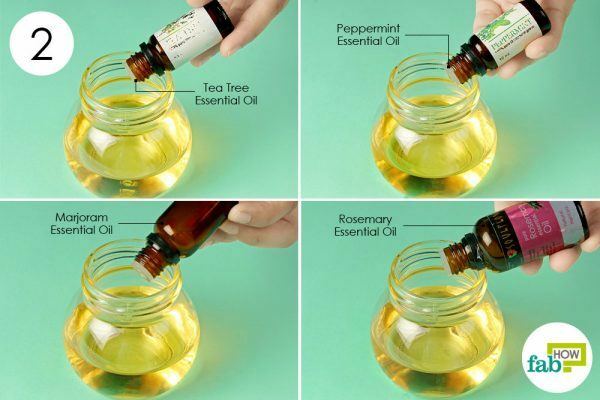 You can prepare your own oil blend by mixing rosemary oil and peppermint oil in your choice of carrier oils, and enjoy the sweet scent while it helps repair your body. Injuries can also leave you dehydrated. Drink more water to feel better and heal faster. Give your muscles a rest and avoid heavy lifting before your muscles are fully healed. Lewis PB, Ruby D, Bush-Joseph CA. Muscle soreness and delayed-onset muscle soreness. Clinics in sports medicine. https://www.ncbi.nlm.nih.gov/pubmed/22341015. Published April 2012. Järvinen TA, Järvinen M, Kalimo H. Regeneration of injured skeletal muscle after the injury. Muscles, ligaments and tendons journal. https://www.ncbi.nlm.nih.gov/pmc/articles/PMC3940509/. Published February 24, 2014. Baker BA. An Old Problem: Aging and Skeletal-Muscle-Strain Injury. Journal of sport rehabilitation. https://www.ncbi.nlm.nih.gov/pmc/articles/PMC6345250/. Published April 2017. Elbossaty WF. Pharmaceutical Influences of Epsom Salts. American Journal of Pharmacology and Pharmacotherapeutics. http://www.imedpub.com/articles/pharmaceutical-influences-of-epsom-salts.php?aid=23254. Published July 31, 2018. Ou M-C, Lee Y-F, Li C-C, Wu S-K. The effectiveness of essential oils for patients with neck pain: a randomized controlled study. Journal of alternative and complementary medicine (New York, N.Y.). https://www.ncbi.nlm.nih.gov/pubmed/25192562. Published October 2014. Boonruab J, Nimpitakpong N, Damjuti W. The Distinction of Hot Herbal Compress, Hot Compress, and Topical Diclofenac as Myofascial Pain Syndrome Treatment. Journal of evidence-based integrative medicine. https://www.ncbi.nlm.nih.gov/pmc/articles/PMC5871049/. Published 2018.